Approximately 2,500 manufacturers and suppliers with new products, services and technologies in 65 categories will exhibit at AAPEX 2018, with more than 47,000 targeted buyers in attendance, including automotive service and repair professionals, auto parts retailers, auto parts warehouse distributors, engine builders and fleet buyers. Approximately 162,000 automotive aftermarket professionals from more than 135 countries are projected to be in Las Vegas during AAPEX 2018. 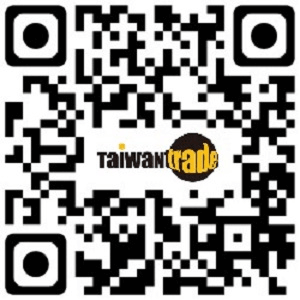 TAITRA will lead over 50 Taiwanese companies to show the best auto parts to satisfy customer’s needs. Taiwan pavilion located in #8022 level 1, we welcome guest to visit our Taiwan suppliers and discover the latest products. For more AAPEX show information, AAPEX also will offer new product and new packaging showcases, product demos and AAPEXedu sessions on a range of industry-leading topics, including technology, business management and trends and opportunities. Let’s Tech will return with a full schedule of 20-minute or less technology presentations, as will several other technology-focused programs, including Mobility Park and Technology Intersection. AAPEX represents the $740 billion global automotive aftermarket industry, and is co-owned by the Auto Care Association and the Automotive Aftermarket Suppliers Association (AASA), the light vehicle aftermarket division of the Motor & Equipment Manufacturers Association (MEMA).